Huntsville Hospital Maternal Fetal Medicine (MFM) provides medical evaluation and treatment for women whose pregnancies may come with an increased risk for complications. 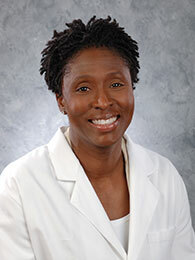 Dr. Margaret F. Carter is double board certified in MFM and OB/GYN and has completed a fellowship in MFM. Dr. Carter leads a team of clinical specialists including a certified nurse practitioner, registered nurses and a registered medical sonographer specializing in high risk pregnancy scans. She offers outpatient visits and inpatient consultations for maternity patients hospitalized at Huntsville Hospital for Women & Children. MFM consultations are by appointment only and initially made through your obstetrician’s or primary care physician’s office. Services provided by Huntsville Hospital Maternal Fetal Medicine are covered by most insurance plans. Please call your insurance provider if you have any questions about your policy.